RIDGEWOOD, N.J. — It's impressive enough that Ridgewood's Younghoe Koo can kick the football 40 yards or more down the line. And then the Ridgewood High School graduate follows it up with a back flip. 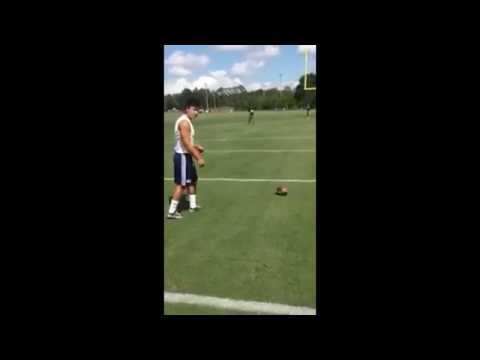 The Georgia Southern junior kicker's trick-shots are gaining national attention. Koo and two other college place-kickers across the U.S. are up for the Lou Groza Award.